Sit in his chair and you will quickly understand Brent's passion for delivering an exceptional client experience. Making the time to spend with him and his unique, undeniable artistic talent is a memorable occasion. The Brent Brush is the best tool to protect your scalp, hair and extensions - it improves the overall life and quality of your hair. If you are looking to minimize pain, prevent breakage or extend the life of your extensions, The Brent Brush is for you, order yours today. 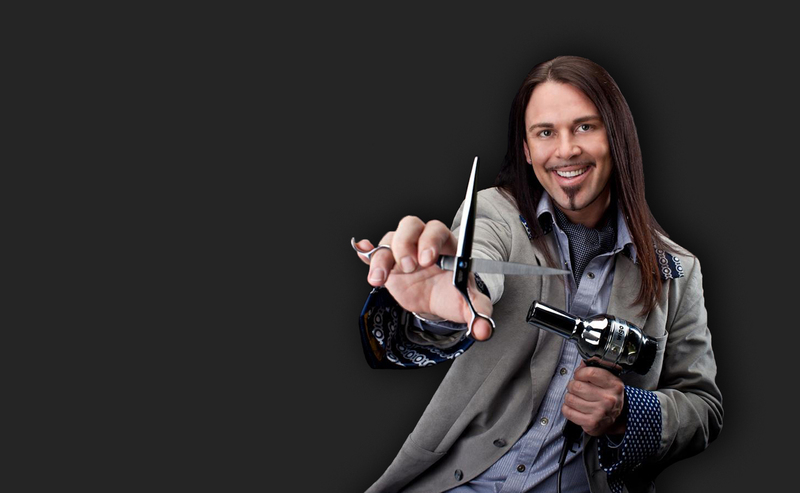 My Beauty Butler is an exclusive haircare service with your needs and convenience in mind. You simply specify the location and schedule, then leave the rest to My Beauty Butler. When it’s time to meet your audience, or look exceptional for a special event My Beauty Butler will make you look your best. Whether you are a woman dealing with thinning hair, hair loss or alopecia, or a man with a receding hairline or pre-mature baldness, you will find information and advice with a comprehensive look at the hormonal and other health-related causes of hair loss in Hair Loss Master Plan.